Out and about on plaster repair jobs, we sometimes come across “situations” that have us scratching our heads in wonder. And sometimes, the situations are so interesting, we have to snap a photo. Here is one such photo. Can you tell us what’s wrong in this picture? Continue reading What’s Wrong with This Picture? 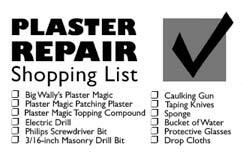 What kind of tools do you need for plaster repair with Plaster Magic®? It’s actually not that long a list – as a homeowner you may already have everything you need. If you’re a contractor, you’re certainly ready to jump right in. Most everything you need comes in the Plaster Magic® kit. Our plaster repair tip for today is coming straight from a new customer. We’re happy to announce the release of our new, specially-formulated Plaster Magic®Patching Plaster. Rory, the founder of Plaster Magic®, has been developing it through trial and error for many many years. But finally, a patching plaster that is designed specifically to complement old and historic plaster is available for purchase. We’ve seen a terrible lack of market for patching holes and large cracks in plaster walls and ceilings. At this time of year in Vermont, where Plaster Magic® is based, we see winter in full force. While beautiful, it can also wreak havoc on homes. Many of the plaster repair projects we approach are caused by water damage. With Plaster Magic® specially formulated Plaster Magic® Patching Plaster now on the market, we thought we’d offer some special patching tips. It wasn’t easy, but we’ve pried these ultra-useful tips from Rory’s “bag of tricks”. 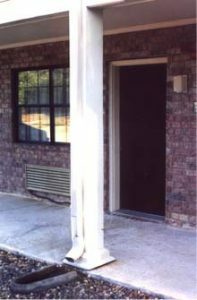 These are some simple methods he’s learned from over 30 years experience in the plaster repair field. How do I tell how much space I have between the plaster and lath? 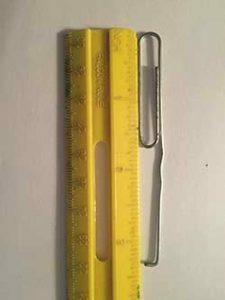 Stick the bent end of the paperclip into the hole until it hits the lath. Then, using a marker, make a mark on the paperclip, where the plaster surface meets the paperclip. Next pull the paperclip out of the hole until the “L” catches on the back side of the plaster. Make another mark where the plaster surface meets the paperclip. The distance between those two marks is how far the plaster is from the lath.